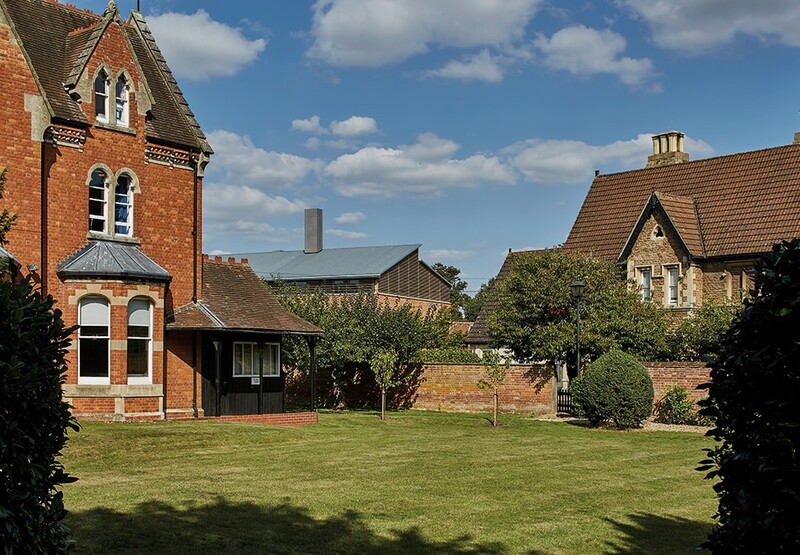 Founded between 1121 and 1184, Abingdon School is one of the oldest schools in the UK. Its current campus in Oxfordshire has been developed since the 1870s and includes several beautifully crafted red brick and tile Victorian buildings. 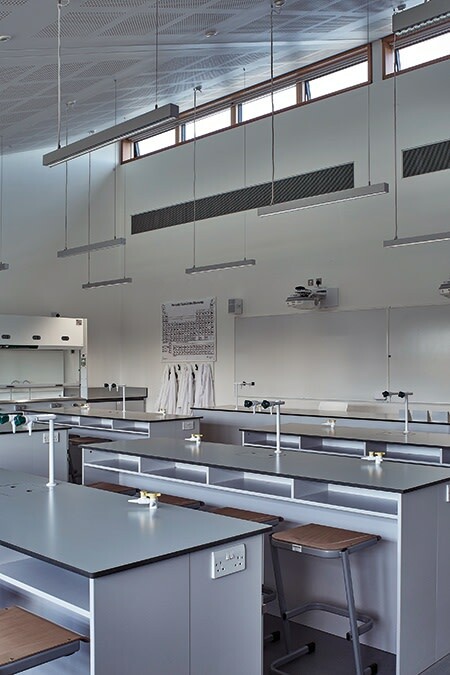 The school's desire to improve its outdated science facilities follows growing student numbers and increased demand for scientific education; our resulting new building dramatically enhances the educational offerings at the School and promotes increased engagement with local and scientific communities. 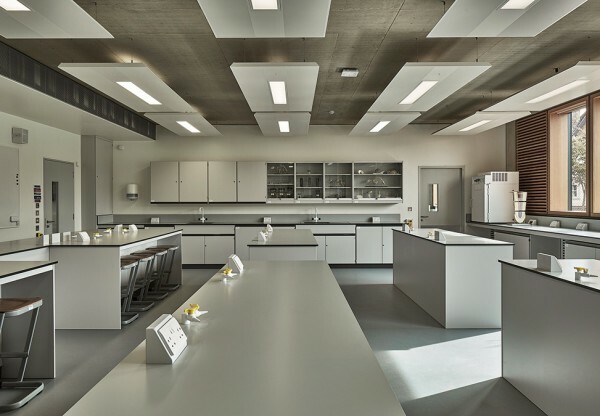 The distinct new facility is situated at the northern edge of the School's campus and will form a key gateway entrance to the School's grounds. 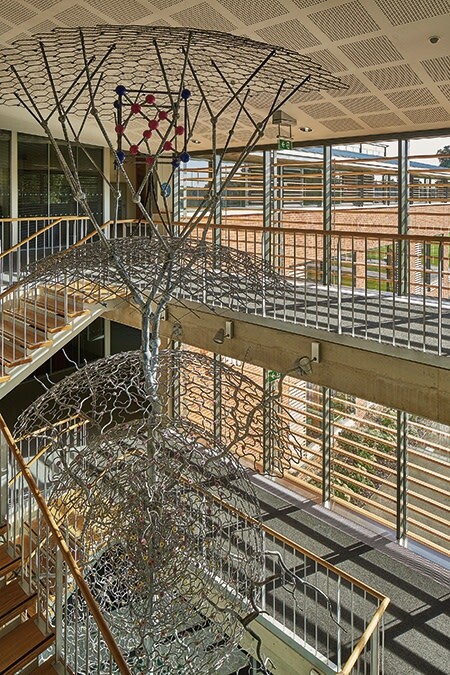 It contains 21 laboratories together with offices and support spaces arranged over three levels. The provision for a lecture theatre, to be added at a future date, has also been included. 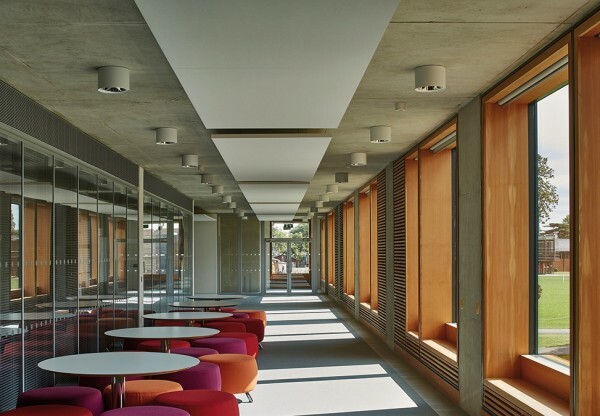 An open-plan area, wrapped around the internal face of the building, provides flexible teaching and study spaces and creates a hub of activity and interaction for students, faculty, staff and visitors. This has enabled a flexible and efficient circulation strategy that can be adapted to suit the School's daily needs. 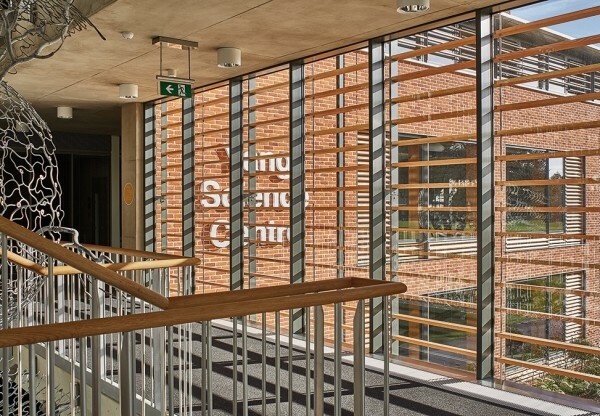 The L-shaped scheme creates a new sheltered quadrangle with planting and benches to offer students an outdoor space for learning and socialising. 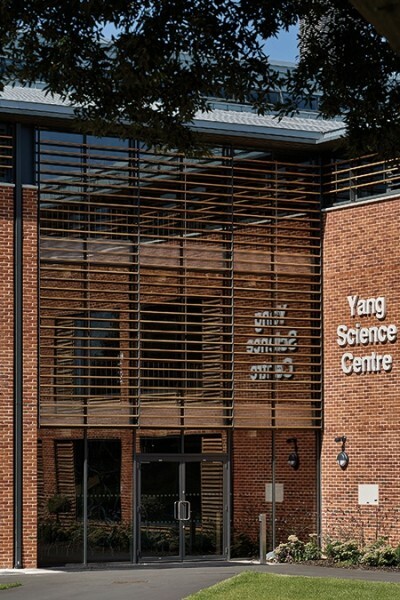 To one side, a linear ecology pond runs along the edge of the building, which will be used as a living laboratory as part of students' scientific learning. 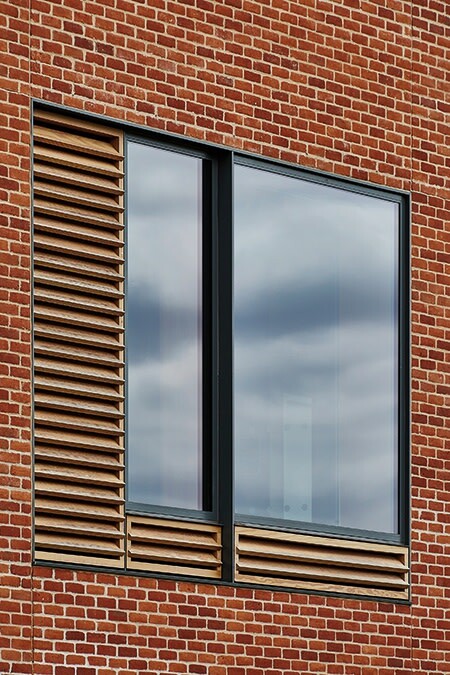 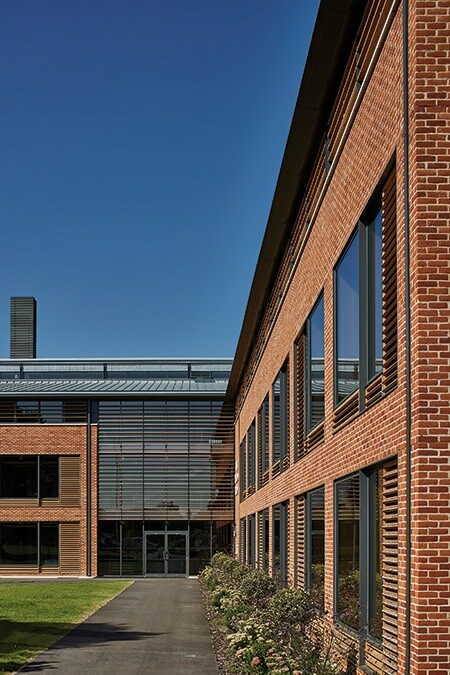 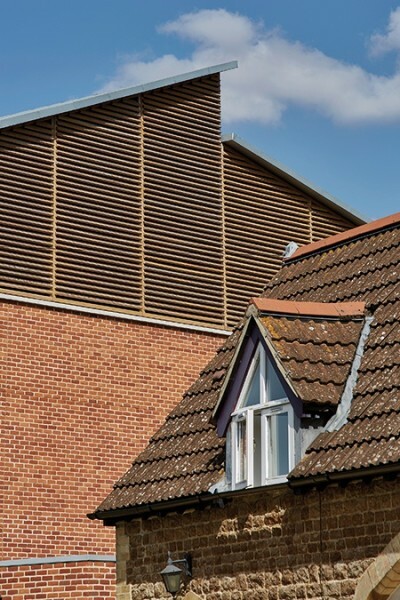 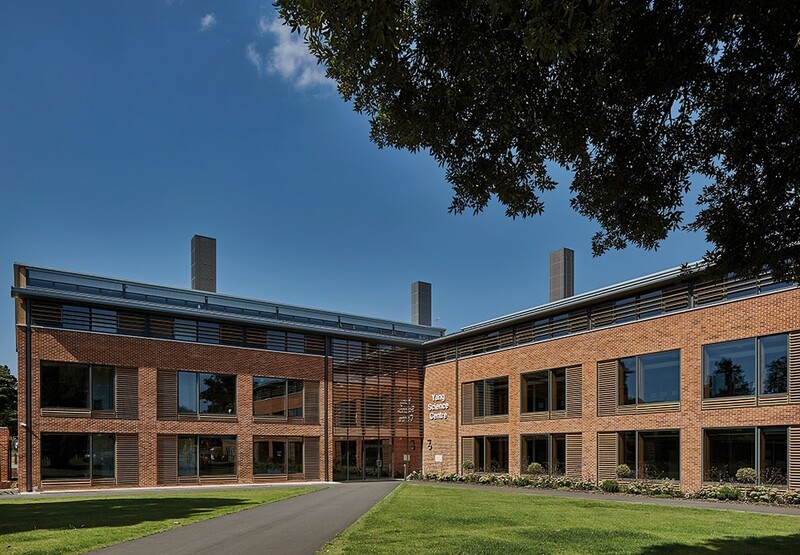 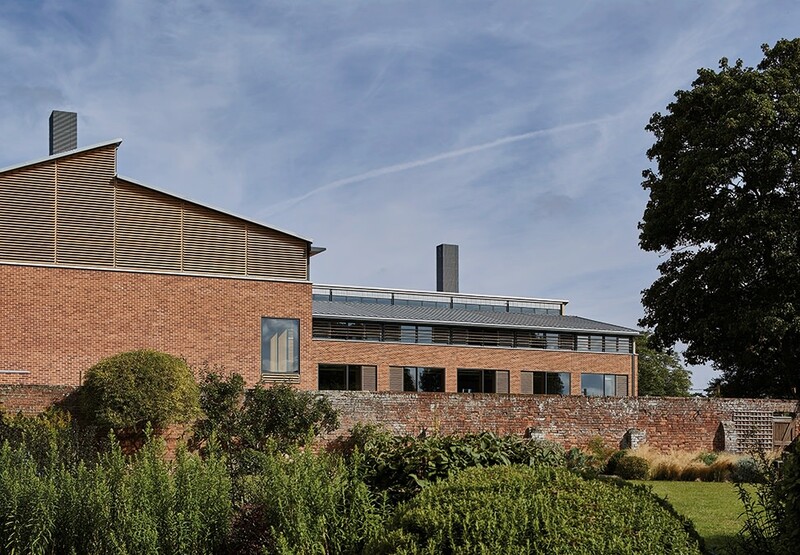 A robust palette of materials, including brick and timber, has been chosen for the building's façade to minimise maintenance and ensure long-term durability. The building's design also utilises a thermally massive concrete frame and predominantly natural ventilation and lighting strategy to reduce its energy consumption. It has targeted a BREEAM rating of Very Good.